Chris Rock made waves earlier this week after his performance as this year's Oscars host, where he tackled several political and social topics in a comical way. 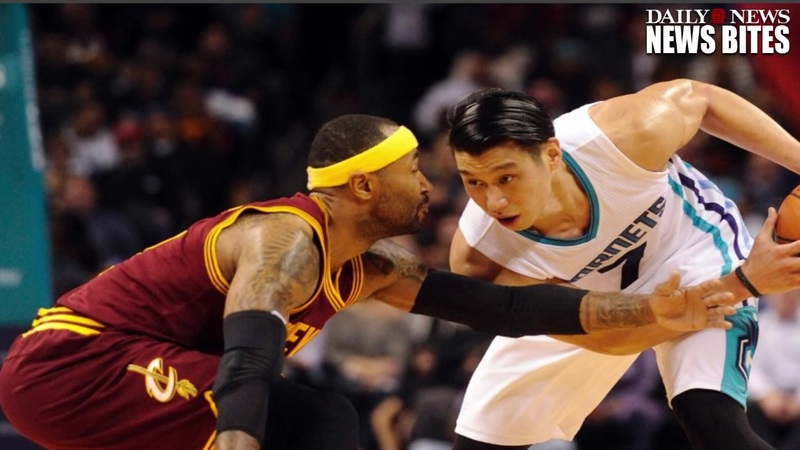 But even though diversity was the theme, Charlotte Hornets point guard Jeremy Lin took exception to one of the comedian's jokes in particular. Toward the middle of the show, Rock brought three Asian children on stage, claiming that they were accountants. "They sent us their most dedicated, accurate and hard working representatives. Please welcome Ming Zhu, Bao Ling and David Moskowitz," he said. The camera cut away from the kids, and Rock continued: ""If anybody's upset about that joke, just tweet about it on your phone that was probably also made by these kids." Lin, whose parents emigrated to the United States from Taiwan in the 1970s, had a blunt reaction on Twitter the day after the show. With so much of Rock's gig as host centering around diversity, it's concerning that he'd go to such lengths to reinforce a racial stereotype -- and Lin, who has over 1.5 million Twitter followers, rightly used his voice to bring attention to the issue. Lin was a firsthand victim of racial insensitivity during his stint with the New York Knicks in 2012, when an ESPN.com editor used the headline "Chink in the Armour" to label a story about Lin's poor performance. The same phrase was also used on an ESPN television broadcast.